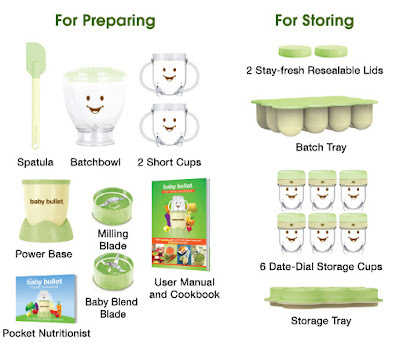 The Magic Bullet blender came into my life when my daughter was ready to eat solid foods. Instead of store bought baby food which I only used when away from home, I generally would make my own homemade baby food. Today, The Bullet is probably one of my most used kitchen appliances. It's easy to clean and to store. I use it to make fruit smoothies on most mornings. Even made the most delicious bean paste, the other day. I tossed in a can of goya red beans, some salt, black pepper, chili and garlic powder into my Magic Bullet. Result: a smooth, creamy, thick paste which was absolutely like a sour cream substitute over a taco salad. So last night, I'm on my computer, and Ava-Sol says, "This will be good for my baby sister!" It's a line she's been using a lot lately. Ever since, we cleaned out her closet in the new year, and kept some items for another 'thought only about' sibling. So, I have to keep reminding her, "Mommy is not pregnant, yet!" 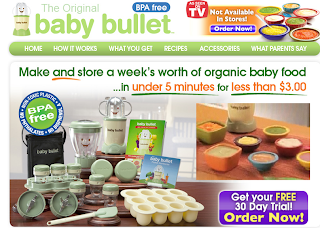 When I glanced at the advertisement, it was for The Baby Bullet. Tres cute! 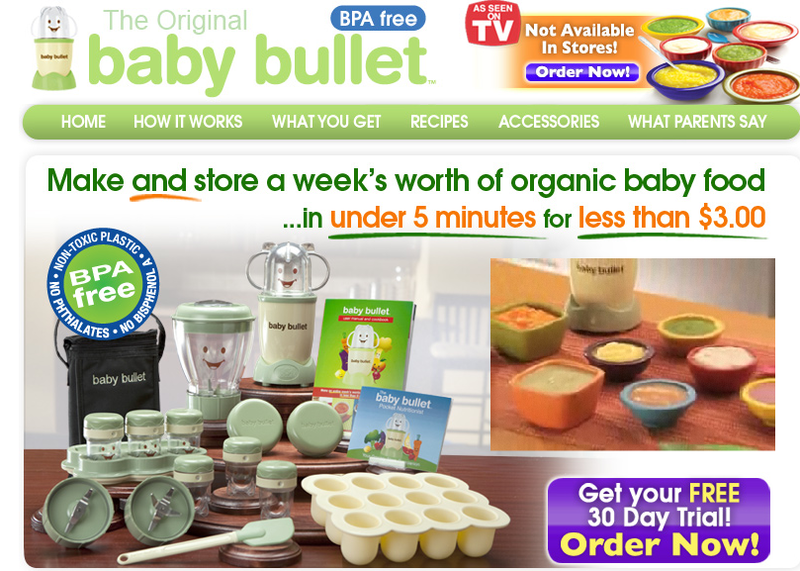 Just the cute lil' faces, I would not hesitate to buy The Baby Bullet! Perfect gift for any newbie mom.